You've probably noticed the recent changes in street signs : in Hangeul and English, in white alphabet over deep blue, almost no alleyway left behind, and a number for each house. They are much more visible than the white on green signs, but design is not the issue. All addresses are switching from the traditional system of "beonji / dong" (block / neighborhood) to a more Western style system with house number and street names. The official change is planned for 2012 and believe me, that's an much bigger revolution than the recent change to "square meters" from ye olde "pyeong" (about 3.3 m2). First, let's see how the old postal address system is working or supposed to be working : a "dong" is generally divided into hundreds of "beonji", often a block or a former house, and a Seoul address reads like 135 Blahblah-dong or rather 135 beonji, Blahblah-dong, Younamethatdistrict-gu. Apparently very simple indeed. But most beonjis have been divided into smaller lots after redevelopments. For example, when granddad Kim croaked and each son got his own piece of land, 135 Blahblah-dong was split between 135-1, 135-2, and 135-3 Blahblah-dong. On the other hand, beonjis and subunits can disappear : for instance, a whole block of appartments (or "danji") covering beonjis number 3, 7, 27, and 58 will select "7 beonji" as its only address. Numbers were often given chronologically, following the development, with little consideration for location... even if clusters of beonji series generally lay close to each other, such concepts as "order" or "logic" seem less relevant than "chaos" or "random". As a result, finding a beonji on a detailed dong map can take some time, even for a trained Seoulite. 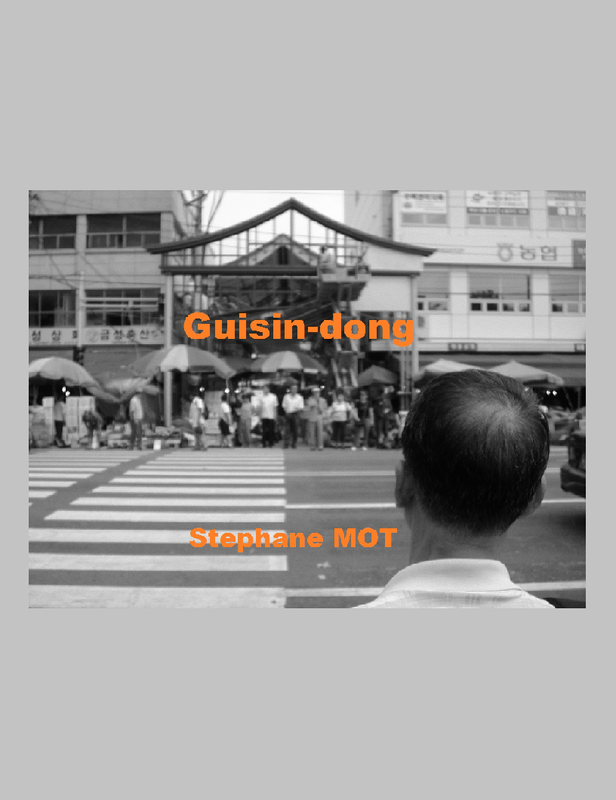 And if you ever plan to find a place in an old area just by walking from one door to another, forget it : provided you can find where each number is written (start with the mailbox or the gas meter), it will either take you days or drive you mad. Street names used to be an oddity, but many have been baptised a few years ago, starting with the obvious (ie the main street of a dong being named "Blahblahdong-gil", or the market street "Blahblah Market Street"), moving on to tree names or other poetic images. But most of the time, people living there are not even aware of the existence of a street name. Street numbers were also introduced, for instance in former slum areas which were not detailed enough on official maps but evolved into dwellings connected to all utilities including Fiber To The Home. But here again, they are not really adopted in the popular culture : they don't match the beonji number, which remains the official address. This time, it's serious. Change you can really believe in. Every house will have a street number, numbers growing logically along the street with odd numbers to the left and even to the right, and at major crossroads, you can already see arrows giving such details as "from 1 to 35, Younameit Street" on one side of the road, "from 36 to 246, Younameit Street" on the other side. A common sight in many cities, but a major revolution for Seoul : theoretically, you won't need detailed maps anymore to find a place in a maze of alleyways. The Kim brother, equals under the old system, may take different paths : depending on their orientations, 135-1 Blahblah-dong can turn into 75 Younameit Street, but 135-2 into a more prestigious 245 Younamethat Avenue. And how about old Mrs Park, who after ten years, got used to living in Eunhaeng-namu Street ? She may have to brace for another change : beyond the systematization of street numbers, the names of the streets themselves are often dumped for a new and simplified system. - First, more consistency for road categories : depending on the width, you have either a "gil" (street), a "ro" (avenue), or a "daero" (big avenue or boulevard). Typically, signs on Sejongno now read "Sejongdaero", and Jahamun-gil was upgraded to Jahamun-ro. - Second, a hierarchy around major axis : for instance, all streets starting from Yeonhui-ro, Yeonhui-dong's main axis, are numbered with odd numbers to the left and even to the right, and named after the main road (Yeonhuiro-11-gil, Yeonhuiro-13-gil...). 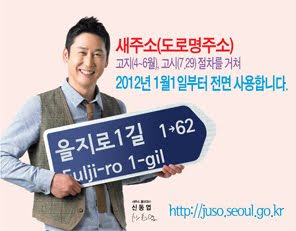 Even highways adopt the same system and in Gyeonggi-do, "gil" numbers can reach several thousands. This almost "constructal model" has its advantages : "28 Blahblahro-27th street" is easier to find than "the third alley to the right after that Family Mart, twenty meters before the gas station". Collateral damage : street names rich in history (and stories) will disappear. Goodbye Yeonhuimat-gil, Naejadong-gil, and most of the names I've jotted down across this excuse of a site over the last 5 years. Both systems should coexist for a while, but Seoulites will adopt change quite quickly : overall, it will really change their lives for the better. I'll keep and cherish my old labyrinth maps nonetheless.